There are several abstract art master´s books that could perfectly be classified a fine art jewelry pieces by any modern, contemporary or abstract art enthusiast. When you have one of those in your hands you really feel special, don´t you? Once in your hands you have two choices, either closely look at them for a while enjoying each page, or being able to buy and integrate them to your home art library. If you are lucky to own one of this master pieces, once at home, you will agree that these books mark a difference. They are more than art books. They become unique collection pieces you are more than happy to see, sometimes only the cover, and sometimes consult once more. It´s simply pure pleasure. This post is about 3 books I consider unique pieces for their quality and their content. They include modern art master pieces, in these case only abstract master pieces, of three of the most important painters in art history. One of my favorite painting artists ever, of whom I recently wrote about his latest London black and grey paintings´ exhibition. The book is a top art book that practically includes all impressive Rothko´s paintings on canvas. I personally believe that this is master collection piece that any good art library should include. You agree with me 100%, don´t you? Click on the book´s image for more information and enjoy this fantastic video explaining how Rothko created his paintings. 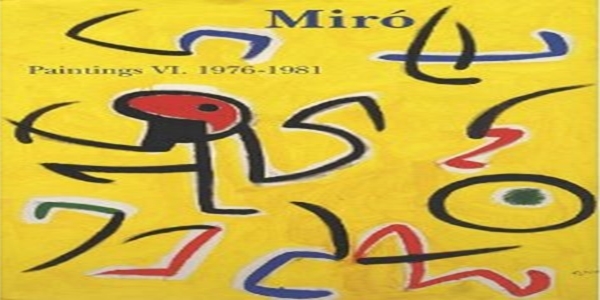 This superb and again unique art book is number VI of a VI volume collection containing all Joan Miro´s production. The power of Miro´s imaginary, his fresh style, the way he interpreted art in a so personal manner, as well as how he integrated blue color, was maravellous. Who wouldn´t want to own this book?. By the way, did you know that Joan Miro 2012 art auctions where a total success. Again click on the book´s image for additional info. Well, this is all for today. I will be posting future articles showing you state of the art books worth having or simply knowing they exist. Is there any other art book you would recommend us? To be updated on future articles, subscribe to this blog or follow yasoypintor on facebook, pinterest or google +. 2 Responses to "Top 3 Modern Art books that could be considered fine art jewelry (I)"